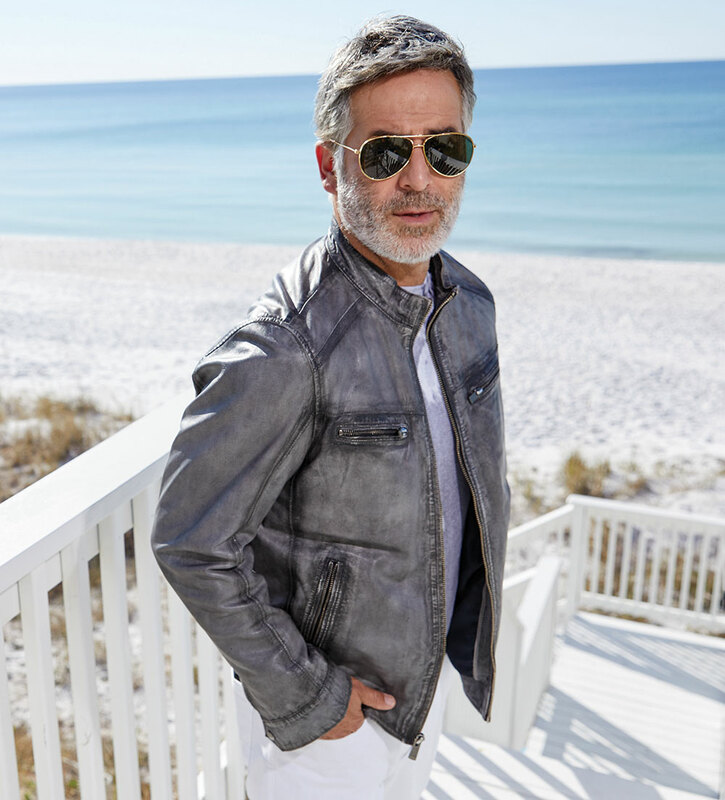 An icon in supple, 100% Italian lambskin updated in rich, distressed shades that play well with today's denim. Zip front, band collar, zip pockets, snap cuffs, full lining. Professional leather clean. Imported. This is the greatest lambskin jacket I have owned. I like the distressed look and snap coller button. It really makes it pop. I love my Patrick James Lambskin Jacket, in fact I've worn it quite a few times. I absolutely love it.